At present, the development of information technologies leads to a significant development of simulation technologies and modeling possibilities. In the area of air defense, it is mainly about the algorithmization of the command and control processes together with the development of the possibilities of modeling and simulation of an air targets engagement process, e.g. the process of guiding the missile against a target. The process of destroying the target itself, however, is preceded by many activities, of which the modeling has been very difficult for a long time before. One of these activities is the process of deploying air defense systems to fulfill their purpose, i.e. to ensure the continuous coverage of a territory by their weapon systems. 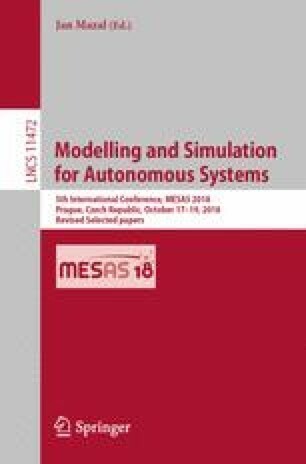 Ability to describe this process in simulations gives the possibility for future implementation not only in the complex simulators but also for use in real command and control systems for the needs of subordinate elements autonomous tasking. This article describes one option of such process algorithmization. This method has been used in the Department of Air Defence Systems tactical ground air defense simulator for the autonomous deployment of available effectors on the battlefield.